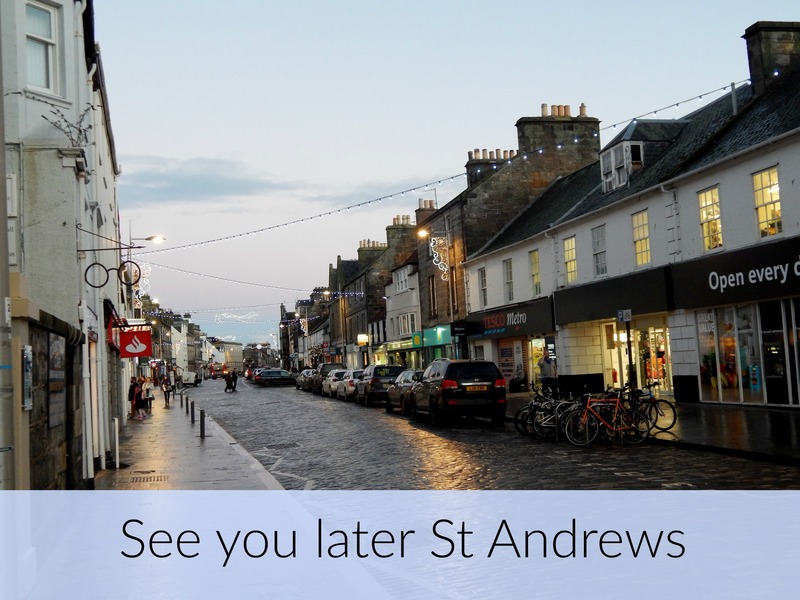 Today, I’m saying goodbye to St Andrews and heading back t’north for a month. We’re driving down this afternoon and I am so excited to be home and to celebrate Christmas. I still have some more presents to wrap but I am 100% in the festive mood. This year, I am even keener for some time at home with my family now that a really rather stressful semester has been wrapped up. I will miss this place of course but I can’t wait to start exploring my stomping ground again. Every time I go away something really cool happens in the North East so I have plenty to catch up. I’m going to take some time off between now and the New Year. You’ll hear from me again in January. I’ve got some super exciting posts planned (especially if you are a book fan) so I’m sure I won’t be gone for too long. I’m just not sure of the specific date that I’ll be back on This Northern Gal. Until then, you can keep up with me on Facebook, Twitter or Instagram. If you really, really miss me, you could have a look through the archives, though that is just for the truly brave amongst you. Even I don’t venture in there all that often. And so, with my last post of 2016, I want to thank you for all your support this year. I truly love that you take the time to hang out in my corner of the internet. I hope you enjoy it here too. Merry Christmas to everyone who is celebrating and I’ll see you later!